In just over two months Belle (my baby!) will have finished school. She has plans for college of course, but that’s not until September. That’s nearly three months of potentially blank space, space that Belle could well fill with a cycle of sleep, Netflix and Instagram. I want to make sure that alongside a bit of R & R* she makes time for things that are actually interesting or useful or worthwhile. Family will be a first port of call – a few days with my Dad in Cornwall here, a few in Ireland with my sister there – but the thing with family is that it’s EASY. I want her to do something that challenges her too, something that pushes her outside her comfort zone but gives her confidence a boost in the process. The trouble is that Belle quite likes her comfort zone and has been a little scarred over the years by me packing her off on various activities – activities that really are things I want to do, (like week long courses where you have to pretend to be a spy and crack codes), only I can’t because I’m a grown up. Yesterday I mentioned the government backed National Citizen Service (NCS) to her and she DIDN’T STRAIGHTAWAY SAY NO. This was an amazing thing. I immediately sent her a link. 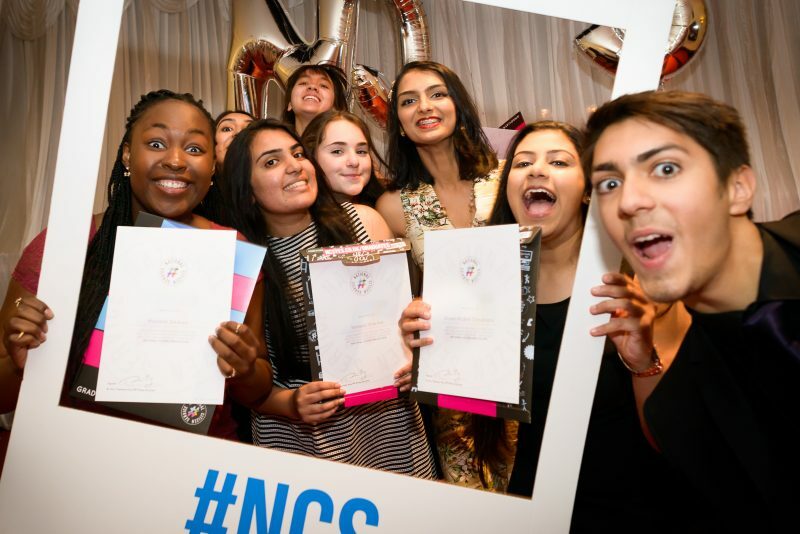 If you are going to be 16 or 17 on August 31st this year and fancy doing something a little bit different this summer then NCS could be just what you’re looking for. The summer programme, which still has spaces (hoorah!) is a 3-4 week schedule, split into three sections. Each involves a 4/5 day residential, but you get to come home in between so it’s not too daunting a prospect. The first chunk is outdoor activities like abseiling and canoeing. The second is uni-type experience where you learn practical live skills and the final section is about community, and coming up with a idea to make a difference locally. At the very end there’s a big celebration to mark everyone’s achievements. With teenagers becoming more and more isolated, NCS is a chance to switch things up. 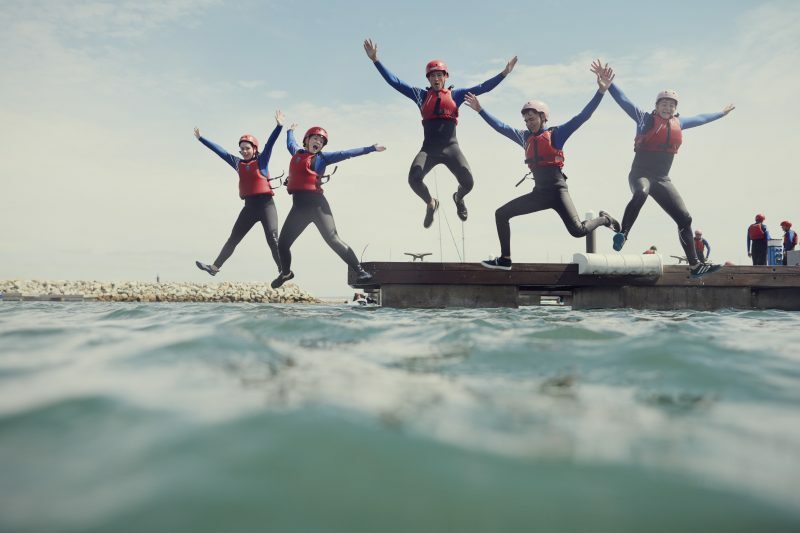 NCS is an opportunity make real life friends, share experiences and get involved in the world around you. 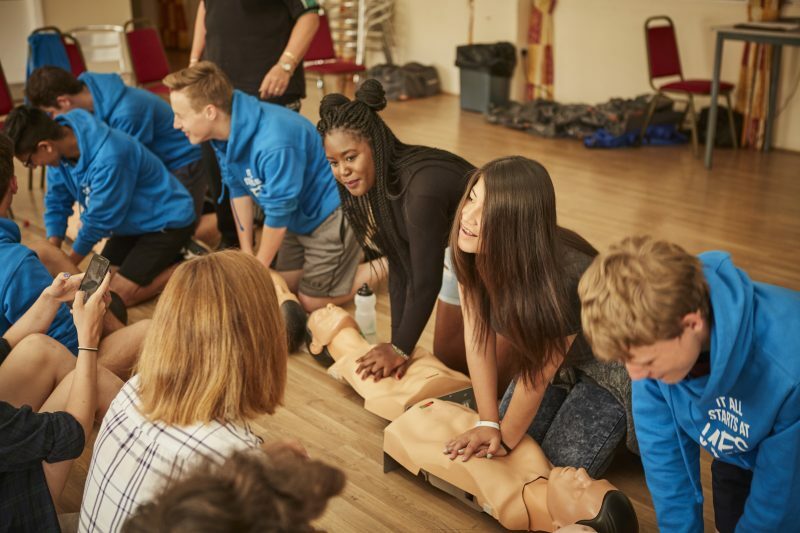 NCS wants to help young people to build a more cohesive, mobile and engaged society by bringing together people from different backgrounds to actually DO things. Almost 400,000 young people have taken part so far, getting more than seven million hours of community action under their belts. 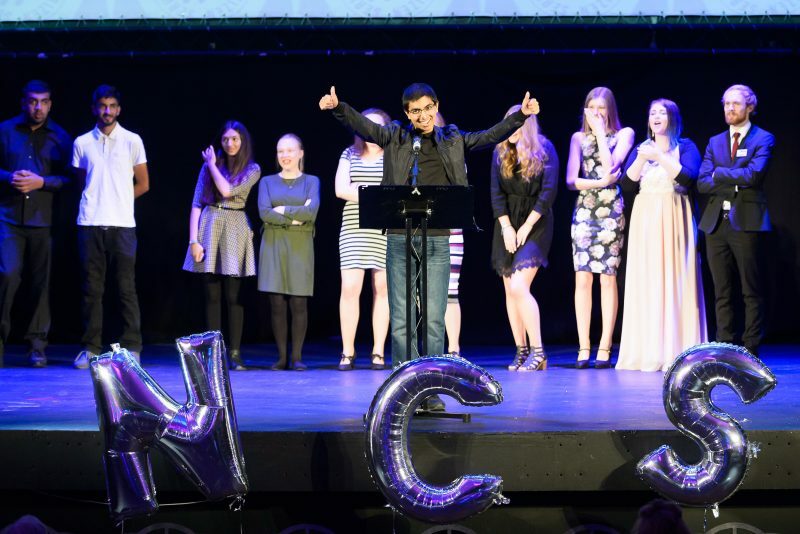 This year alone more than 100,000 teenagers will come together on NCS. That’s one in six of 16 year olds, which is an amazing achievement for a scheme that’s only been running since 2011. And just in case that hasn’t sold it to you, the whole thing is only FIFTY POUNDS. Yep, fifty quid. That covers everything – travel, accommodation, food, activities. What’s £50? The cost of a family takeaway? A trip to the cinema? This is £50 for four weeks of awesomeness. 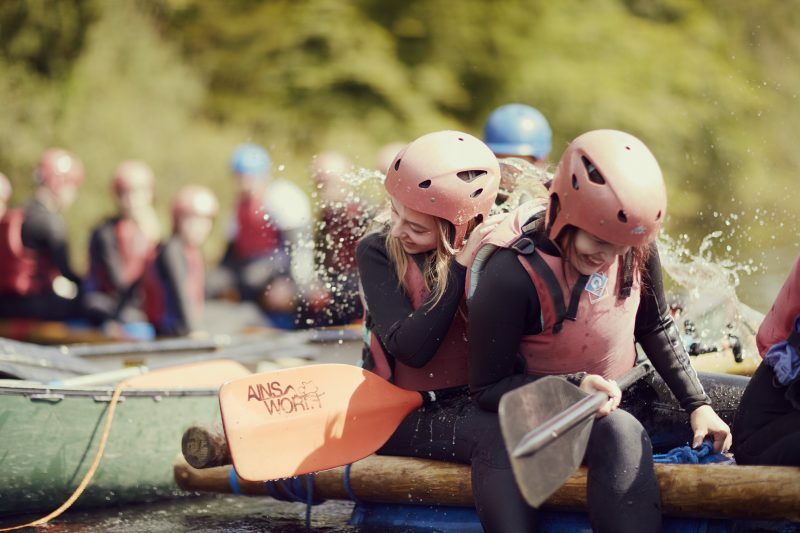 Now I know the summer holidays can be tricky, and 3-4 weeks is a big commitment, especially around other things you have going on, but the very least you can do is to go and have a look at the NCS website. NCS wants to make this happen as much as you do, and they’ll do whatever they can to get you a place on a programme at a time that suits you. Now I just need Belle to sign up. There are still places on the NCS summer course so visit the NCS website now and reserve your spot. *This is a private joke for Bee and Belle, not me suddenly becoming the sort of person who says ‘R & R’ in normal conversation. Great ideas. Encouraging kids to socialize, have fun outdoors, and explore the world should be something parents should aim this summer. My 15 year old can’t wait to do this next year! I’ve only heard positive stuff about it. The oldest one did it three years ago and got a lot of out of it – just basic life-skills like cooking and ‘living on your own’ and testing out leadership in small groups. I think it’s brill. I’ve been doing my best to persuade Belle!